The second day of our 51st Annual I & WEMRC Exhibition. The first day of our 51st Annual I & WEMRC Exhibition. September Steam Day - end of the season! Our sixth and final Steam Day of 2006 started out a bit damp and miserable, but turned warm and sunny later and brought out a reasonable number of visitors. August Steam Day - another hot one! Our fifth Steam Day of 2006, was another sweltering one, with the track also suffering from the heat as we had a few derailments. July Steam Day more like a sauna! Our fourth Steam Day of 2006, held on Sunday 02 July, was a bit of a slow starter, so much so that we began to wonder if we were the only people daft enough to be interested in hot, smokey steam trains on such a hot day. Then things picked up somewhat later on, and we were running mainly full trains through the afternoon. 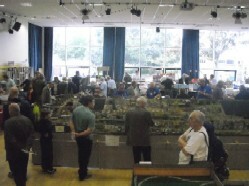 Expeditions to Chatham were made by the North American and N gauge sections, on the second day of the show. Everything went smoothly and according to plan. 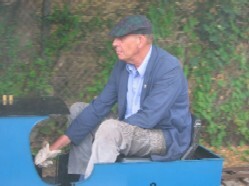 Appointment of Don Neighbour as Honorary Chairman, many thanks to Ted Reynolds for his year in the job. Appointment of Alan Waredraper as Chairman Elect. All other officials were pursuaded (gently, of course!) to remain in their current roles. Reports were taken on various matters, including the 2006 Exhibition which is progressing nicely. Every year the Hugh Gwyther Trophy (named after a long-standing late I & WEMRC member) is presented to someone the committee feels has made the most significant contribution to the club, and this year it was awarded to Jonathan Casey for his extensive work in organising and modernising the club library. Our second Steam Day of the 2006 season was held on Sunday 07 May, and this time we were favoured with much better weather - hot and sunny all day. Also a landmark day for Thomas Junior (pictured right), by our reckoning pulling passengers for the first time this millennium in the club's service. The O Guage section's newest layout, Taw Magna, was on show at the Romford Haverers O Gauge Group Exhibition, at Marshalls Park Lower School, Petits Lane, Romford. 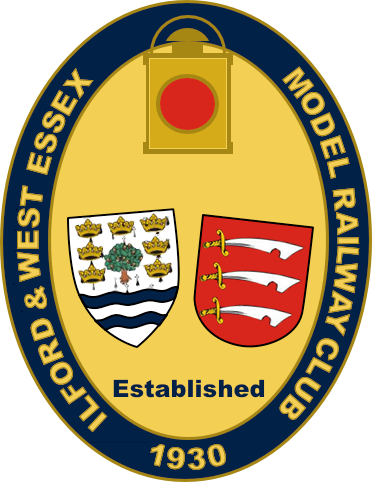 Victors Models held a special open evening after normal hours for I & WEMRC members. The evening was quite well attended, just short of a dozen club members turned up, saw demonstrations of various DCC systems, and spent some money! Thanks to all at Victors for an enjoyable evening. 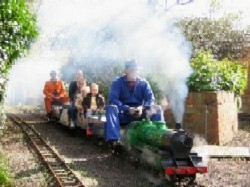 Our first Steam Day of the season was held on Sunday 02 April 2006. Everything went smoothly, other than the weather which was an interesting and unpredictable mix of pleasant spring day and tropical storm! Alexandra Palace 01 & 02 April 2006. Attended by various I & WEMRC members, including most of the North American section on Saturday 01 April. Some of the I & WEMRC members visited Brighton Modelworld 06, the annual exhibition held at the Brighton Centre, covering not just Railways, but also Aircraft, Boats, Cars, Trucks, Rockets - in fact just about anything you can make a model of! 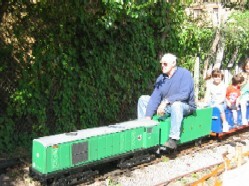 The footage shot by Mark Found of our 7 1/4 Miniature Railway back September 2005 is now included as part of a pilot show at www.therailwaychannel.com. Unfortunately, this film has been removed from the railway channel site but is available to members in the club library. The footage shot at the club's 2005 Exhibition by Mark and his colleagues is now available to view online at www.therailwaychannel.com.